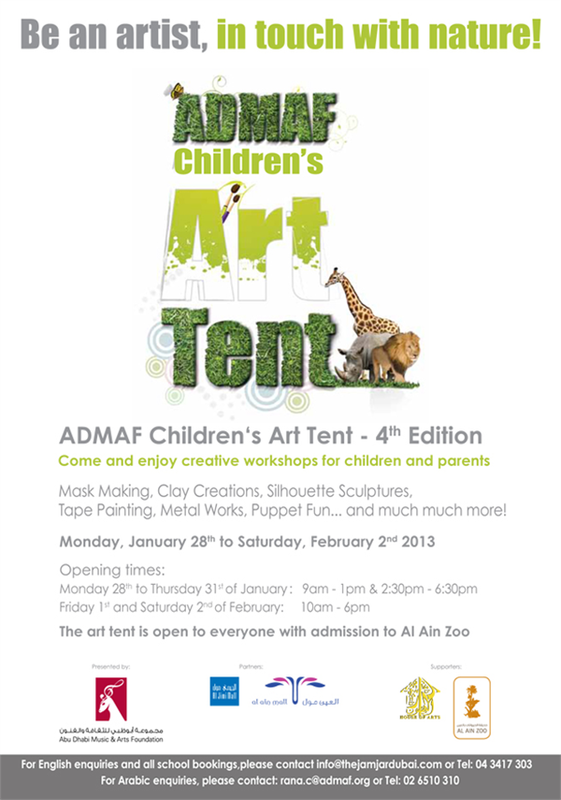 The Abu Dhabi Music & Arts Foundation is proud to announce the fourth Children’s Art Tent at Al Ain Wildlife Park & Resort January 28th to February 2nd 2013. 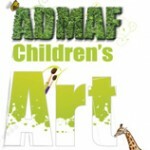 The Children’s Art Tent is a hugely successful initiative that aims at helping children learn about wildlife, nature and their local environment through the medium of art. 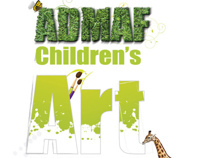 The art workshops are free on admission to the Al Ain Wildlife Park and will incorporate various exciting workshops and activities aimed at children between 4 -15 years old. Professional artists and instructors will be on hand to teach and encourage children in their chosen activity which ranges from animal mask-making and silhouette sculptures. Last year’s event saw more than 3000 visitors attend the park during Art Tent and the 2013 event hopes to be even bigger and better with more activities and more artistic challenges for our young guests. Among the many events on offer to children, this year will also include tape painting, canvas painting, clay modeling, metal works and puppet making where children will be encouraged to characterize their own artistic personalities with simple materials such as felt and socks. The workshops are a return to low-tech fun, using the simplest of materials where children have no limits other than that of their young imaginations.